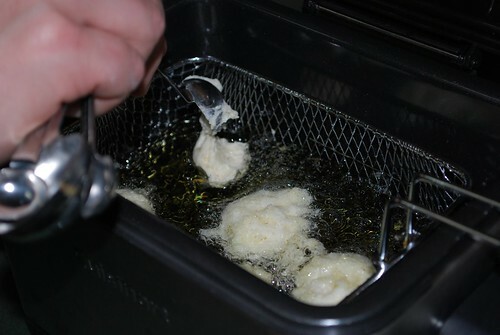 Using a deep pot or fryer, heat oil to 350 degrees. In a mixing bowl, stir together corn meal, flour, baking soda, salt, and Old Bay Seasoning. Mix in the chopped onion. In a small bowl, stir together buttermilk and egg. Add this mimxture to the corn meal mixture, and stir until just incorporated. 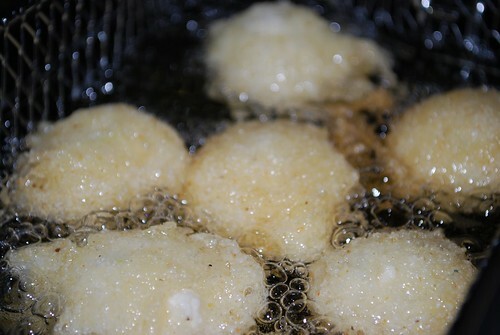 Drop the batter by teaspoonfuls into preheated oil. 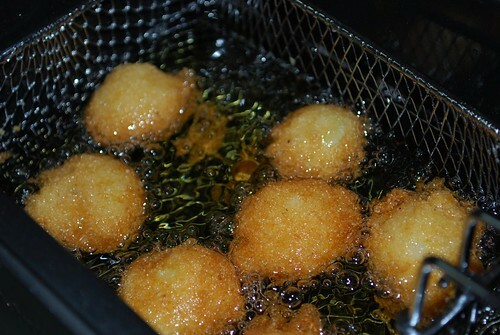 To prevent sticking, dip your spoon into a glass of ice water after dropping each hush puppy into the oil. 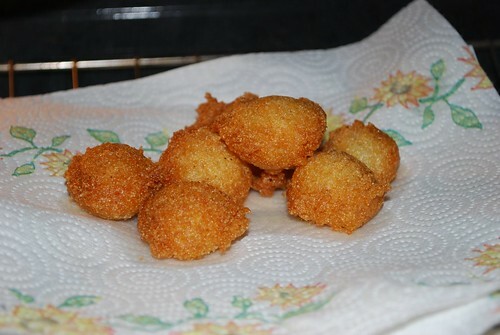 Turn hush puppies as they brown, and remove from oil when completely golden. Drain on paper towel, and serve immediately.